As the display and audio technologies move to ever more complex and higher resolution systems (4K, UHD, HDR, Dolby ATMOS etc. ), the processing requirements will cause AV sync issues. 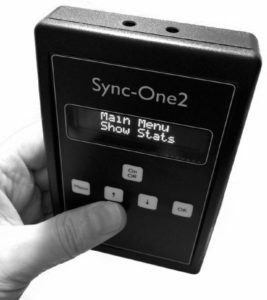 Each component or firmware update will alter the AV sync in a system, and everyone knows how annoying it is when the LipSync is out, Sync-One2 is the most accurate way to check a system is in sync. Sync-One2 measures audio visual (or lip-sync) delays / errors to help you make the correct adjustments to ensure everything remains in sync, without resorting to guessing. Trying to check any system manually is always prone to error, as it relies on the subjective view of the person doing the testing. 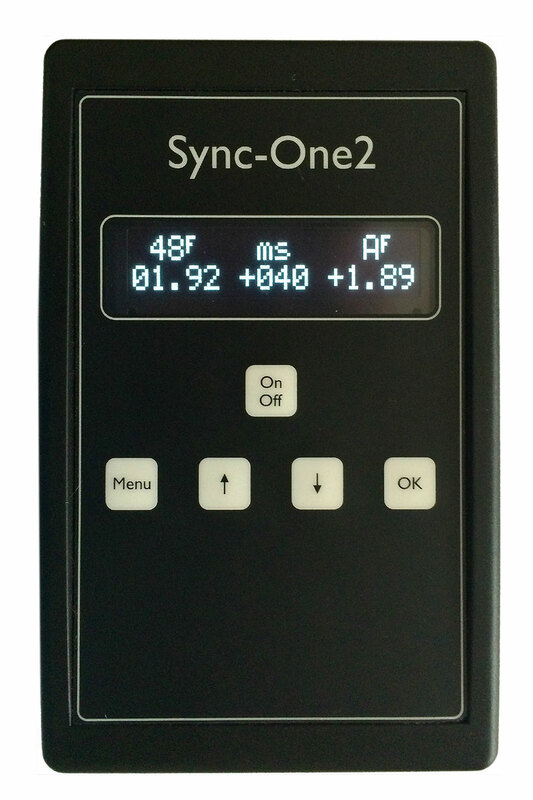 Sync-One2 takes away the guessing by accurately measuring the time span between an audio beep and video flash (e.g. a 2-pop / flash frame or similar), giving the length of the delay and if the audio leads or lags with reference to the video. With this reading you can simply set the audio delay in an AV amp or audio delay unit or adjust your digital workflow package. No guessing, no time wasted, Sync-One2 makes it easy. Having a system in good sync helps to mitigate potential content sync errors, streaming or satellite content providers are known to suffer from poor sync. The overall system will be able to tolerate a larger error in the content if the base system is known to be in sync to start with. Sync-One2 displays the error in milliseconds (1/1000th of a second), and in frames too if you want, all in real time so it becomes easy to make suitable adjustments. Statistics are also calculated on the most recent 60 readings taken to help check overall system stability or drift. To make measurements of sync delay in your system just play back the downloadable test file from the Sync One2 site or use this YouTube video. Point the Sync One2 mic and light sensors at the screen and Sync One2 calculates the delay between the flash and the beep…. Works with any resolution or type of display, so is 4K / UHD / HDR ready, fine with LCD, OLED, Plasma, Projectors etc.